(Yulin, Shaanxi—Sept. 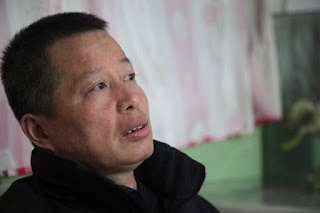 24, 2015) China Aid just learned the human rights lawyer Gao Zhisheng, who authorized the release of details concerning his torture in a Chinese prison yesterday, has been kidnapped, as he predicted would happen. Sources say Public Security Bureau officers arrived at Gao's home at approximately 1 p.m. and began frantically searching for Gao. Gao previously told China Aid that he expected to be detained again after the release of his interviews with China Aid and the Associated Press and that he was prepared to be disappeared in to police custody. 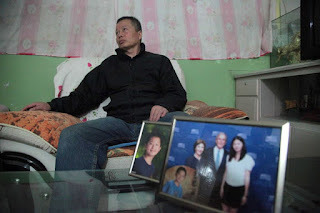 He told China Aid founder and president, Bob Fu, that he was also prepared to be tortured again, because "torture can't truly hurt" him anymore—that the Chinese dictators will be hurt the most by their actions. Gao added that he does not hate his persecutors. China Aid calls for President Obama to immediately and resolutely press Chinese President Xi Jinping about Gao's and call for his unconditional and immediate release. 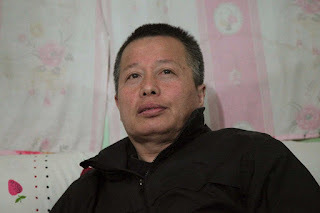 BEIJING (AP) — In his first interview in five years, leading Chinese rights lawyer Gao Zhisheng said he was tortured with an electric baton to his face and spent three years in solitary confinement during his latest period of detention since 2010. The Nobel Peace Prize nominee also vowed to never leave China despite the hardships and having to live apart from his family. For years, Gao's supporters feared he might perish inside a remote Chinese prison. He survived his prison term. But when he was released in August 2014 from prison to house arrest, the formerly outspoken lawyer could barely walk or speak a full, intelligible sentence, raising concerns that one of the most inspirational figures in China's rights movement had been permanently broken — physically and mentally. He is now speaking out once again in an exclusive interview with The Associated Press. "Every time we emerge from the prison alive, it is a defeat for our opponents," Gao said in the face-to-face interview. Gao, who lives under near-constant guard in Shaanxi province, gave the interview earlier this year on the condition that it not be published or aired for several months, until he could finish the manuscripts of two books and send them safely outside of China for publication, which he now says he has done. He also later sent the AP his manuscripts and gave permission to quote from them. The 51-year-old attorney gained international recognition for his courage defending members of the outlawed spiritual movement Falun Gong and fighting for the land rights of farmers. In and out of detention since 2006, Gao upset authorities in 2010 by publicly denouncing the torture he said he had undergone. Faxed questions to the Chinese ministries of public security, justice and foreign affairs regarding Gao's allegations of torture and his current condition were not answered. 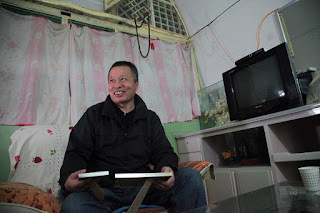 In this year's interview and in one of his books, he recounts a new round of torture as well as three years in solitary confinement which he says he survived thanks only to his faith in God and his unwavering hope for China. He also declared his decision not to go into exile outside China, even if that means being separated from his wife, daughter and son, who are living in the United States. "I thought about giving up and giving my time to my family, but it's the mission God has given me" to stay in China, said Gao, a Christian. Gao's wife, Geng He, said in an interview in California that she does not understand why her husband was imprisoned, and why he continues to be kept under house arrest. "I don't understand why the government has to imprison him. He is just a lawyer. His legal profession requires him to help and serve others. Why is he being treated like this?" she said in the interview in the city of Cupertino. "He is standing up for greater freedom in China." She said in the interview Monday that she hopes Chinese President Xi Jinping and President Barack Obama discuss her husband's case when they meet in Washington this week. A day later, she posted on her Twitter account a letter from her husband urging her to decline an invitation to meet with a U.S. deputy secretary of state on Wednesday ahead of the summit. Gao told her in the letter that such a meeting would be futile while U.S. politicians rub shoulders with the head of China's ruling Communist Party. Since the administration of President Bill Clinton, "the American political class has disregarded the basic humanitarian principles and muddied itself by getting so close to the sinister Communist Party," Gao wrote, according to his wife. One of Gao's two books — yet to be published — predicts that the authoritarian rule under China's Communist Party will end in 2017 — a revelation he says he received from God. He also outlines a plan to build up a democratic, modern China after the party's collapse. Much of the book also details inhumane treatment behind bars. The second book is addressed to his son and tells his family's story. Jerome Cohen, a law professor at New York University and an expert on China's legal system, said Gao has become a symbol of the repression of rights lawyers in China and that it was heartening to hear that he had given an interview. "I had worried that Gao had become a forgotten man," Cohen said. "He was the leading human rights lawyer in China. He was a bold, courageous, outspoken person, and they broke him, they broke him in the cruelest way." 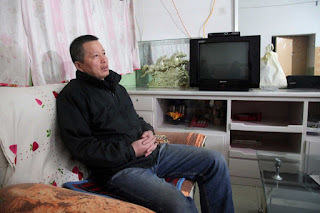 Since his release from Shaya Prison in the far western region of Xinjiang, Gao has been staying with his oldest brother inside a family home in a cave scooped out of a cliff in Gao's native Shaanxi province. He is under watch nearly around the clock. Convicted in 2006 of subversion and sentenced to three years, he was released on probation but was periodically taken away for torture, he said. After his wife and children fled China in January 2009, Gao was secretly detained again by security agents. He briefly resurfaced from state detention in April 2010, when he met his family and gave an interview to the AP detailing how he was hooded and beaten. He disappeared the next day. At that time, he was detained again, he said in this year's interview and in his manuscript. In his book he says he endured more torture, including with an electric baton to his face — a moment that he remembers as a near out-of-body experience when he heard his own voice. "Undoubtedly, it was from me. I don't know how to describe it," Gao wrote. "That sound was almost like a dog howling when its tail is forcibly stepped on by its master. Sometimes it sounded like what a puppy makes when it's hung upside by its tail." Gao said that during all his years of detention he was able to build up a mental barrier against the physical perception of pain. "This is a special ability I have acquired to allow me to survive difficult times," Gao said in the interview. Gao said he was secretly tried in December 2011. It was only then that the government said it was moving Gao to prison, the first time it had acknowledged holding him. He said he was hooded and taken outside for the first time in 21 months in the winter of 2011. "It was the first time I heard a dog bark and that I could breathe fresh air," he said. After he was moved to a prison in Xinjiang, he was no longer physically beaten for any long stretch of time, but he was confined to a room of 8 square meters (86 square feet) without windows or ventilation for three years — so long that he said he could not cope with wider spaces upon release. "I found I could not walk at the airport, but I could walk inside the lock-up room," he said. Gao said that during one period of his three years in the Xinjiang prison, authorities installed a loudspeaker in his cell that sent out propaganda on socialist values for 68 weeks straight. "You cannot imagine the mental harassment they inflicted upon me," Gao said. Now out of prison, Gao said he is able to speak daily to his wife and children in California. He said he wants to be reunited with his family but that he feels he must stay in China. "My wife is suffering, but I can do nothing," he said. "I understand those persecuted souls who have left China and I am glad for them, but I cannot be among them. I cannot go," Gao said. In this photo taken earlier in 2015, Gao Zhisheng listens to journalists in a cave home while sitting near photos of his son and one of his daughter with former U.S. President George Bush during an interview in northwestern China's Shaanxi province. Leading Chinese rights lawyer Gao said in his first interview in five years that he was tortured with an electric baton to the face and spent three years in solitary confinement during his latest period of detention since 2010. 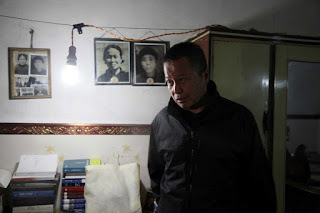 In this photo taken earlier in 2015, Gao Zhisheng talks to journalists in a cave home in northwestern China's Shaanxi province. Leading Chinese rights lawyer Gao said in his first interview in five years that he was tortured with an electric baton to the face and spent three years in solitary confinement during his latest period of detention since 2010. 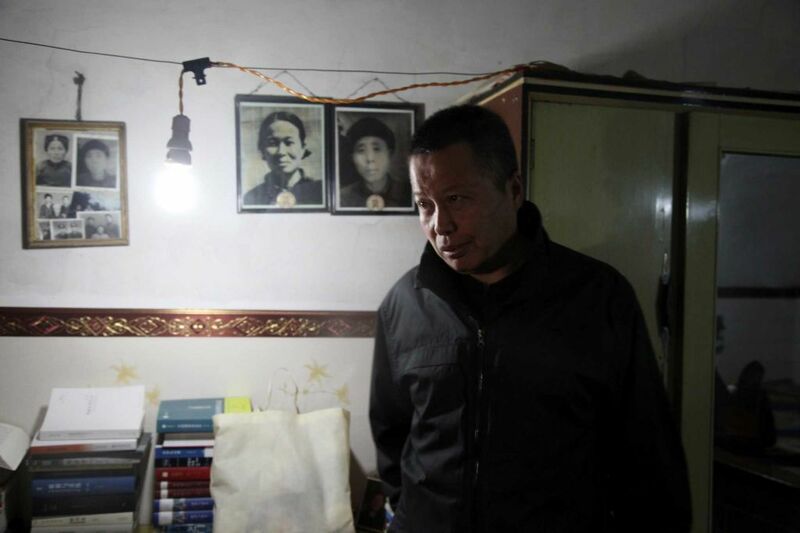 In this photo taken earlier in 2015, Gao Zhisheng walks past photos of his relatives in a cave home in northwestern China's Shaanxi province. Leading Chinese rights lawyer Gao said in his first interview in five years that he was tortured with an electric baton to the face and spent three years in solitary confinement during his latest period of detention since 2010.